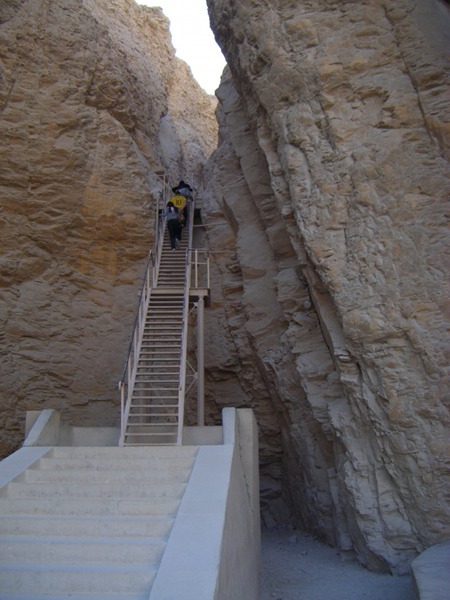 The steep climb up to the tomb of Tuthmosis III in the Valley of the Kings at Luxor. You can't take photos inside of the tombs. This was the most well hidden of all the tombs in the Valley.